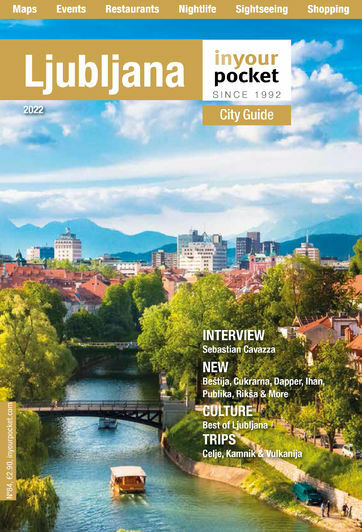 How long have you lived in Ljubljana? I have lived in Ljubljana for the past 8 years. What do you do? I have been teaching English as an Additional language and teaching specific subjects at an International School. Recently I have opened a Mexican Fast Food Restaurant in the city centre. How's your Slovene? I speak Slovene fluently but there are still new words that I learn every day. What do you like most about Ljubljana? What I like best about Ljubljana is that it is both a city and town. It’s big enough to have plenty of choices and small enough to get around easily – either on foot or by bus. Favourite restaurant? My favourite restaurant is my own Burrito Loco. Favourite café? My favourite place to have a cup of coffee is at Arena bar next to my place on Rimska cesta. The coffee is really good and the bartenders are great. Favourite bar/club/pub? My favourite pub is Guinness pub. They have a wide variety of beers and ales. Favourite Slovenian gifts to take to friends/family back home? My favourite gifts that I take back are Slovenian sports memorabilia like shirts of scarves or a bottle of Viljamovka the William pear’s brandy. Favourite day trip from Ljubljana? Basically anywhere. I might go to Piran or set up a trip to Triglav with some friends. There is also Bled or Bohinj or any of the various spas outside of Ljubljana. Basically there are too many great places to have a favourite.